“Go and make disciples of all peoples” (Matthew 28:19). 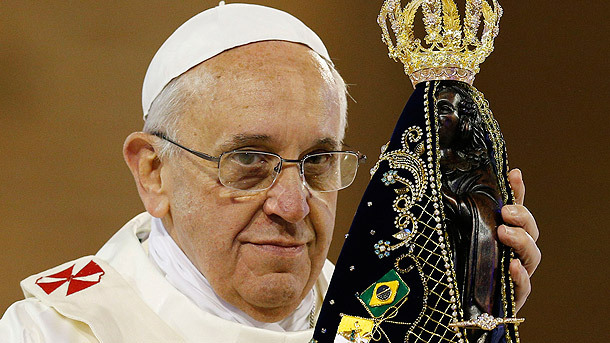 Varican Radio - Pope Francis arrived in Rio de Janeiro, Brazil, on Monday, beginning a week-long Apostolic visit to mark the twenty-eighth World Youth Day. After a brief formal greeting at Rio’s Galeão airport, the Holy Father proceeded to Guanabara Palace for the official Welcoming Ceremony, where he was received by the President of Brazil, Dilma Vana Rousseff Linhares, the Governor of Rio State, Sergio Cabral Filho, and the Mayor of the city of Rio de Janeiro, Eduardo Paes. In her formal remarks, the President expressed joy and gratitude at the Holy Father’s visit. 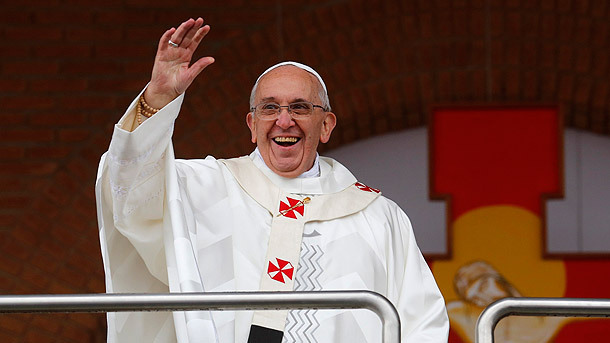 The Holy Father returned those sentiments, and placed his visit in the context of World Youth Day. The Holy Father went on to offer particular encouragement to the young participants, to their families, and to those responsible for forming and empowering the new generation to take up their responsibilities as the future leaders of humanity. After the exchange of speeches, the Pope and the President retired for a private meeting, during which Francis presented Mrs. Rousseff with a mosaic realized by the Vatican Mosaic Studio according to the centuries-old techniques used to apply the mosaics in St. Peter’s Basilica, and depicting a panoramic view of Rio from just behind and above the great Statue of Christ the Redeemer. 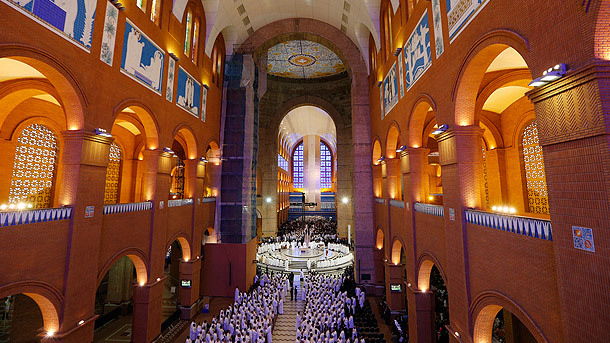 Pope Francis visited and celebrated Mass at the basilica and national shrine of Aparecida in Brazil on July 24. 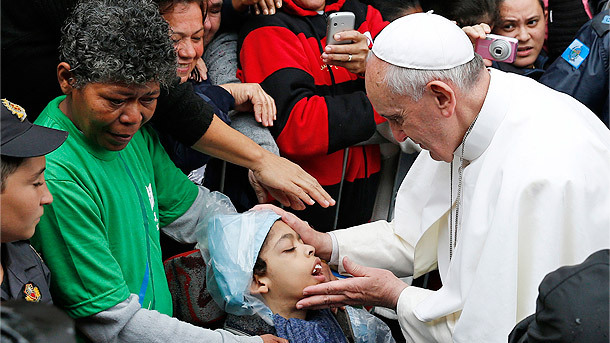 During his visit, the pope entrusted World Youth Day to Mary’s maternal protection, but also challenged parents, priests and other adult Catholics to give the young people things that the world, with all its wealth, cannot: faith and values. Pope Francis visited the Varginha Community which is part of the Manguinhos Favela in Rio de Janeiro, where he visited the local parish, a family and the community in a football pitch. 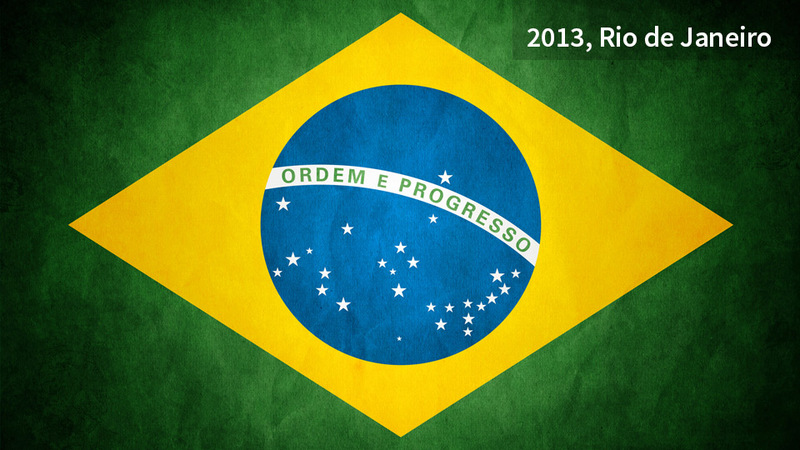 Here below is the address of Pope Francis to the people of the Varginhas community.